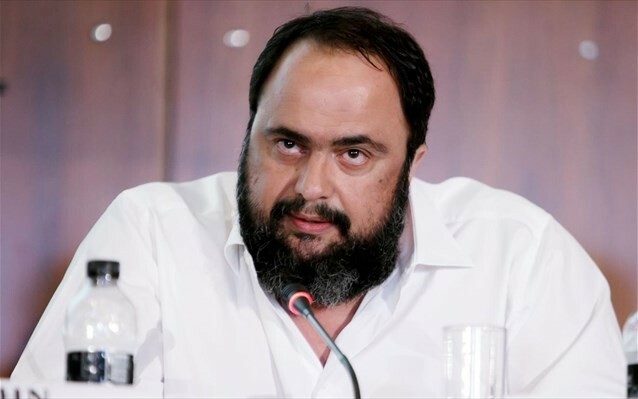 Evangelos Marinakis is one of the leading personalities in the global shipping industry and a football clubs & media owner, who promotes numerous social causes, both in Greece and globally. This website aims to provide some more detailed information on Evangelos, that might not be so widely known. Its goal is - through primary background information and a range of news sources - to chronicle his life, including his businesses, his sporting passions, and his deep engagement with numerous charitable endeavors. The recent judicial action is a deliberate attempt at character assassination. The allegations are fabricated and without any foundation in law or fact. It is a deliberate plot that has long been in the making and as such it is not only offensive, but quite simply criminal. The rule of law is being abolished and democracy is being undermined by such actions. I have never had anything whatsoever to do with the acts for which an investigative inquiry is apparently set to be restarted. It is clear to me that that the results of any new investigation will confirm my innocence. There is not the least evidence to incriminate me and the action against me is completely arbitrary. Some dubious members of the governing coalition have persistently targeted me and leaked judicial proceedings against me at several occasions. Select media networks and journalists with a very shady track record, including blackmail, were recruited and manipulated by government members to move against me. This specific and revived plot involved pre-examining officials, who were ordered to fabricate evidence against me, systematically targeted a convicted felon to incriminate me with terrible lies by offering him huge financial rewards and the release from prison if he succeeded to do me harm. Unfortunately, this plot has also been eagerly served by certain members of the judiciary who wish to curry favour with the government. I have no doubt that it will soon be revealed to the Greek people who the architects of this miserable plot are: they are members of the most dangerous government coalition that Greece has known in decades. They act as they do in order to distract the Greek citizens from the stagnation that they have created and with the hope of stamping out any independent and opposing voice. The plotters are well advised to remember this: I will not compromise, I will not capitulate, nor will I succumb to their dirty plan.